Unlicensed P.I. Jim Hardman’s buddy Hump Evans, a former NFL player, drops a one dollar bet in the friendly, neighborhood football pool for a possible $100 pot…and, against all odds, he wins. But when Hump goes to collect, he discovers he’s been cheated out of his small jackpot. 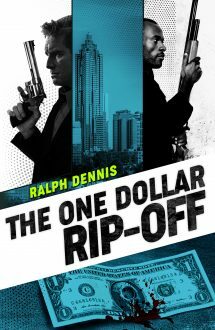 Chasing that hundred bucks leads the two friends into a maze of arson, embezzlement, and murder that will force them into staging a daring con game to snare a master swindler and a desperate killer. This new edition includes the long-lost Ralph Dennis short story Wind Spirit. A brilliantly original, surprising plot in one of the best crime novel series ever written. This is straight-up, hardboiled crime fiction, written in a tight, evocative voice with a wicked, dark sense of humor. It's wonderful! A lightning-paced crime story packed with irreverence and loads of action. Everything one expects from a private eye novel: exceptional characterization, strong and vigorous prose.